We started doing activities for learning letters quite early on. My son must have been around two and a half years of age when I introduced letter recognition, and he was an enthusiastic learner. The focus was always on playing and having fun, as it should be. 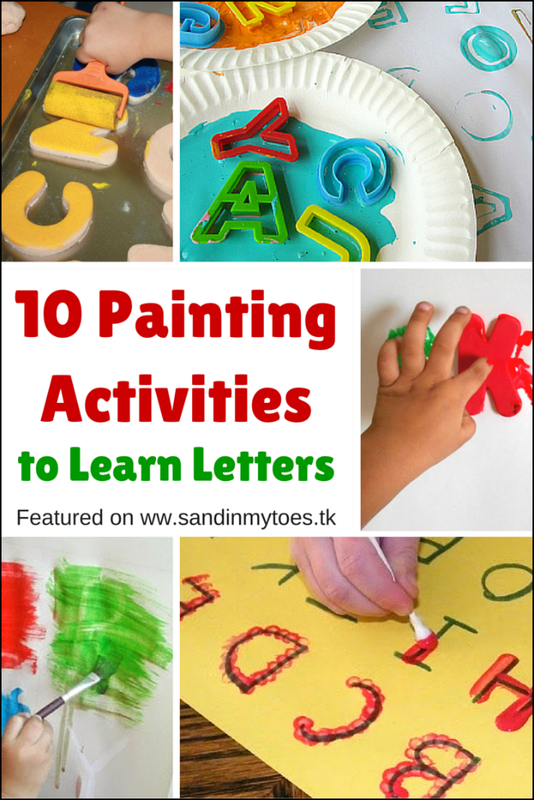 Toddlers and preschoolers love painting, so what better way to learn letters? 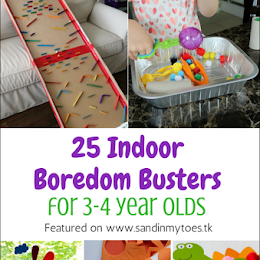 You could use these ideas for everything from letter recognition, to spelling names, and sight words. Pictured activities marked with asterisk (*) below. 1. 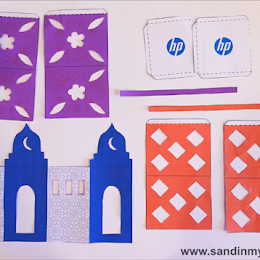 We loved doing this Letter Stamping Activity* using foam letters. 2. 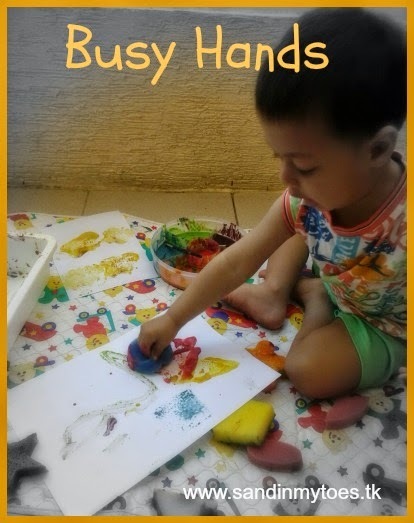 Another creative way of learning letters is this Play Dough Letters Painting* from Learn Play Imagine. 3. You could also try this Cotton Swab Painting* activity from The Stay-At-Home Mom Survival Guide. 4. Another great way to discover and identify letters is this Hidden Letters Painting* that we did. 5. Water Painting is a simple but fun way to learn letters, from Coffee Cups and Crayons. 6. Kids will also like doing this Sugar Cubes Painting activity to form letters, from Still Playing School. 7. This Sock Bomb Alphabet Painting from Left Brain Craft Brain is a game that kids of all ages will enjoy! 8. Check out how we did the Alphabet Emboss Painting activity, shared on The Jenny Evolution. 9. Using cookie cutters is another great way to learn letters. Check out this Alphabet Painting activity* on No Time For Flash Cards. 10. Kids will also love getting letters on rocks with this Rock Painting Name activity from Mama Papa Bubba.